Laura Hunter is the co-founder of TestNotice, a tech startup that provides push notifications to people who have to do random drug testing. Never miss a random drug testing appointment because you didn't know about it. 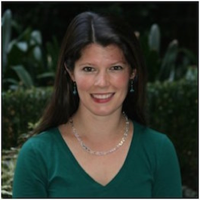 Prior to co-founding TestNotice, Laura launched the Babson MBA in San Francisco as the Associate Director for 4 years, and prior to that she worked at Harvard as a Program Coordinator for an undergraduate fellowship program focusing in the STEM fields. Laura holds a BS from Dickinson College, and a MBA from Babson. When Laura is not working on TestNotice, you can find her outside with her dog Trousers, running road races in tutus, or searching for the best cup of coffee in NH. Top 3 Things to Know Before You Quit Your Day Job to Co-found a Startup.